Tim and I and our friend Kevin Williams decided to get cultured and appreciated some art last night. 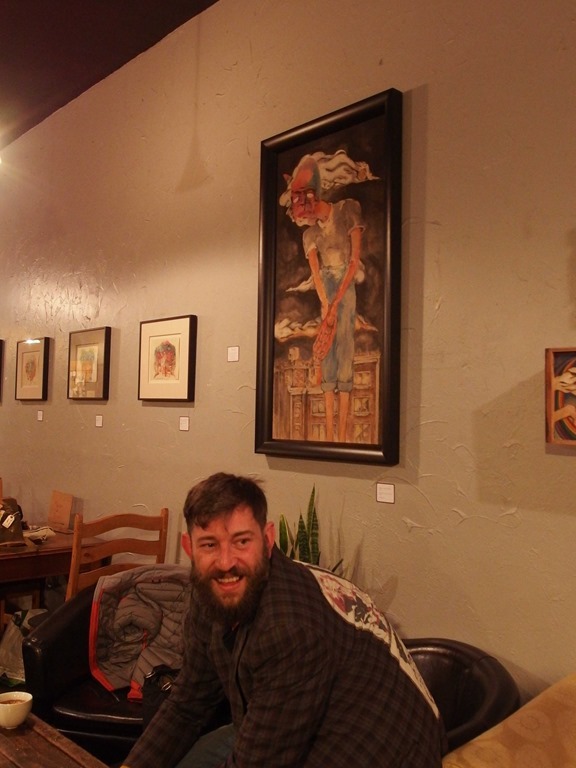 Tim’s assistant Dustin McNa is a talented artist whose work is on display for the month at the Europa Coffee House. I wish I had the vocabulary to describe his work but sadly that part of my brain is completely overwhelmed by the parts that think in outline format, answer Jeopardy questions about word origins, and remember to feed the dog. But I really enjoy Dustin’s work and have purchased one piece that — when the part of my brain that should be in charge of organization gets organized — I plan to hang on my wall. 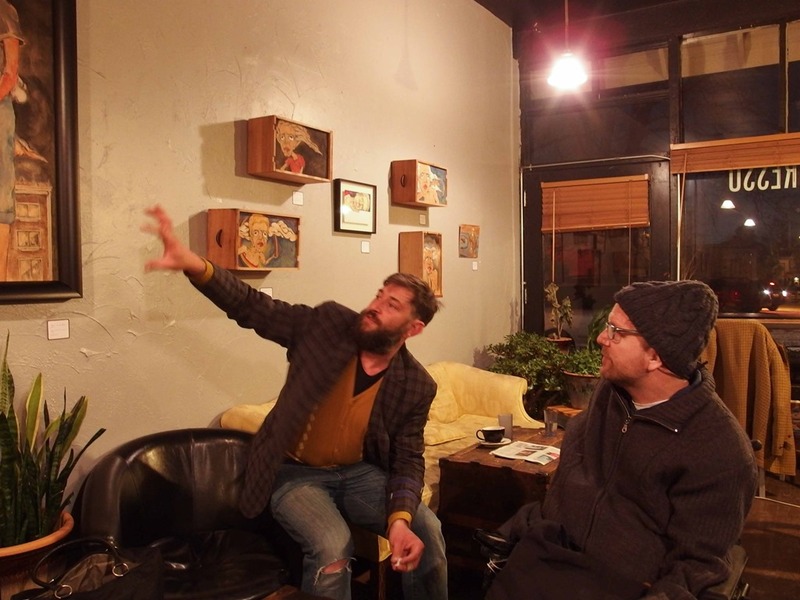 This entry was posted in Adventures, My Life, Wisdom and tagged art, dustin mcna, europa coffee house, painting on February 7, 2014 by Amy Robertson.